Hopefully, you will never have to deal with an employee who is threatening to commit suicide. Unfortunately, it has been my experience that threats of suicide are quite common in the workplace, especially during the holidays. Although a happy time for most people, the holidays can be stressful and cause anxiety for those who feel pressure to spend money they don’t have or deal with family and friends that are sometimes not pleasant. Recently, an employee was telling co-workers that he felt like killing himself. No one took him seriously and most tried to ignore him because of his negative attitude, which only added to his depression. Additionally, because no one took him seriously no one informed management or HR regarding his comments. It wasn’t until he came to work with a firearm that they became concerned. This individual was seen by co-workers leaving the building and walking into an open field holding a pistol. Two co-workers followed him outside and hid behind bushes to see what he would do. At a certain point, they determined that he might be serious about carrying out his threat. They snuck up from behind and wrestled him to the ground and confiscated the firearm, which thankfully was unloaded. They brought the firearm to HR, who only then learned of the entire situation. Train all employees in what to do when an employee threatens harm to themselves or others, which should include notifying management and/or HR immediately of any such threats. Have an established procedure for dealing with individuals threatening harm to themselves or others that include contacting law enforcement or 911 if the circumstances warrant. Advise employees to never take things into their own hands. Provide assistance to the employee and others who may have been impacted by the event (i.e., Employee Assistance Program, Crisis Call Center, etc. ), if possible. In the above situation, the employer contacted law enforcement (at NAE’s advice), who escorted the employee home. The employee was subsequently admitted to a treatment facility and placed on a leave of absence by his employer. It is never a good idea to assume that an employee is not serious about harming him/herself or others. 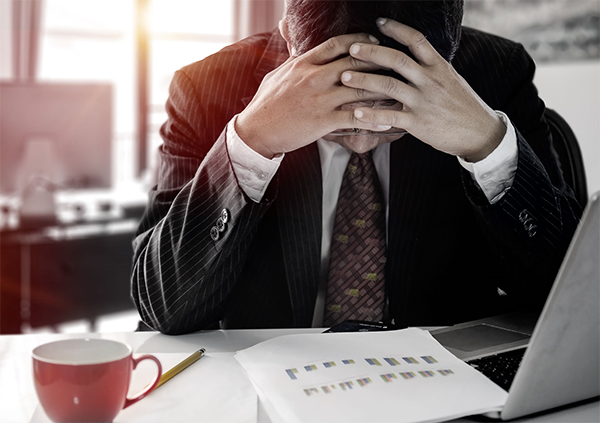 Bureau of Labor Statistics’ Census of Fatal Occupational Injury data shows that more than 1,700 people died by suicide on the job from 2003 to 2010. Contacting law enforcement and following their recommendation is usually the best course of action in these situations. If a known firearm is involved, 911 should be called immediately.